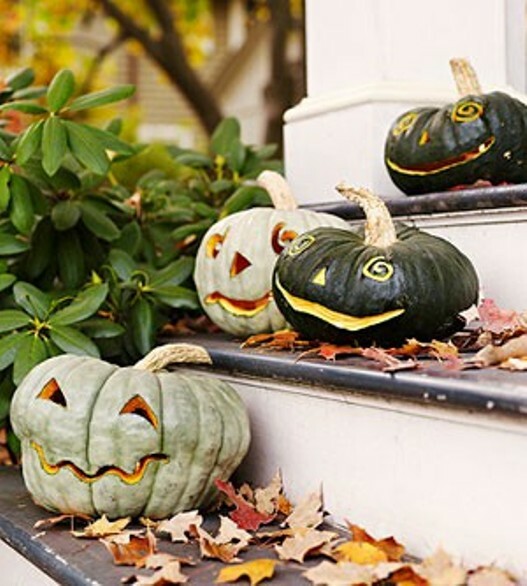 Not a fan of orange but still want to decorate for the season? 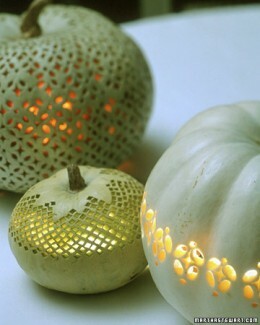 Take your inspiration from the lighter colours of pumpkins and gourds for a sophisticated look this autumn. I love this table setting featured in Chatelaine magazine. 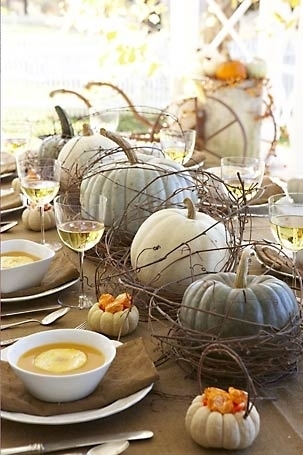 Soft grey, pale aqua and creamy white pumpkins are gorgeous. Although rustic and natural, the table has a sophisticated feel with this neutral colour palette. My front hall entry table featured a pumpkin with a tint of grey and grey/green eucalyptus branches. 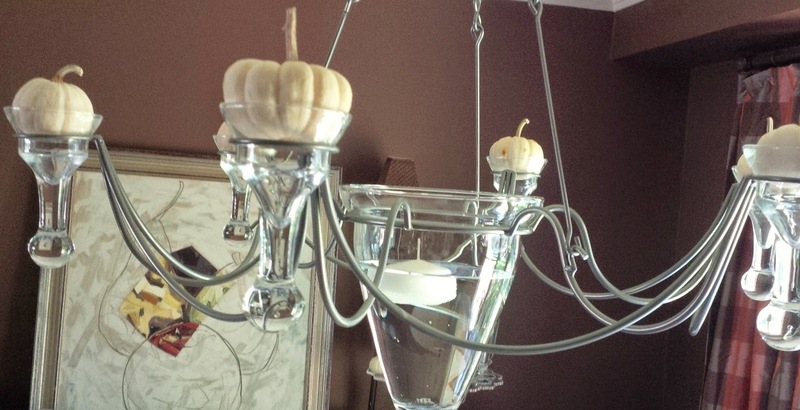 White mini pumpkins adorned the hanging chandelier in the dining room. But I was most excited about my table setting! A lovely linen tea towel doubled as a placemat for each guest. The dinner plates, a muted shade of grey stoneware, were mixed with a soft white salad plate. An aluminum bowl added a touch of sparkle. And a pewter satin ribbon brought elegance to the table tied around a napkin. Dusty miller, thistles, roses with the slightest hint of blush, white hydrangeas and sage leaves created a pretty arrangement. Of course there were lots of mini white pumpkins, as well as a hubbard squash. As Halloween approaches, there is no reason you can't continue this colour story for the trick-or-treaters too!